The registry will be the foundation for an historical archive that does not currently exist. Your participation is voluntary. Your stories are part of the public awareness about our memorial and the contributions women have made in service to our country. We will also be preserving your stories for future generations. The State of Illinois has the Veterans’ History Project. It is a digital archive housed at the Illinois State Library, in Springfield, IL (www.idaillinois.org). If you would like us to forward your information to this Project, we must have a signed release form. We have provided this for you. Please print, sign and send in with your registry. 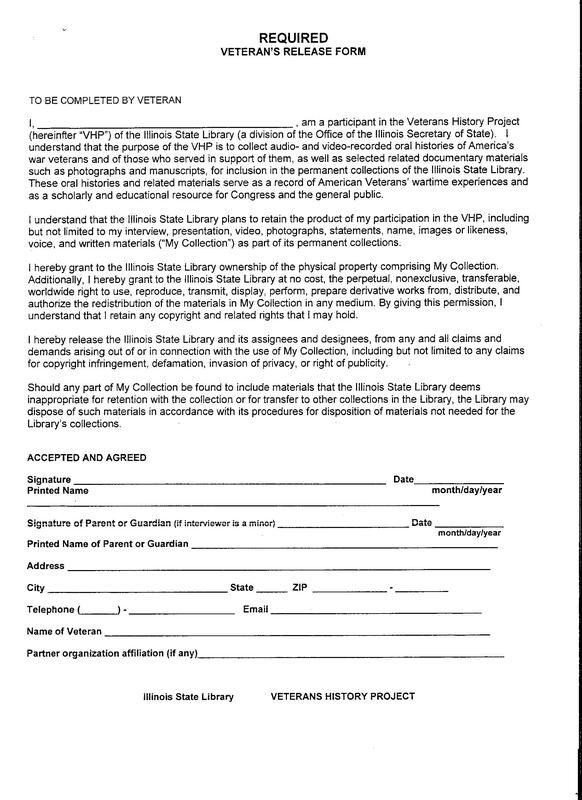 IWMCM is working with the Illinois Veterans History Project, and are planning to have the Project people record stories at our events when ever possible.